Embossed straw, or raised straw work, is fairly specific to the 18th century. 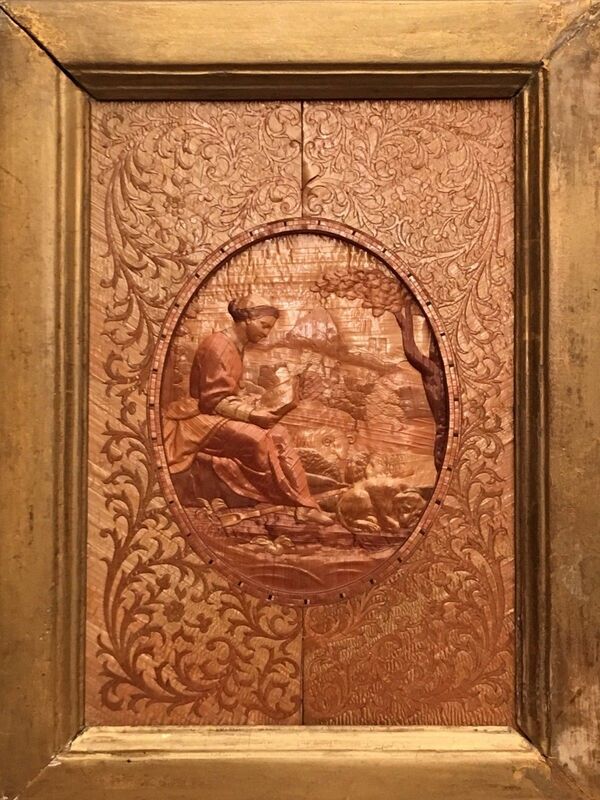 Embossing (to carve, mold, or stamp a design on (a surface) so that it stands out in relief) with sheets of straw create highlighted parts of the inlay. A dampened sheet of straw was inserted into two negative molds, originally carved of horn. The molds, which then pressed positive dies in low relief, allowed repetitive production. There are many identical copies of embossed straw still in existence. Examples of bone molds may be found in the Victoria and Albert Museum and the British Museum in London. 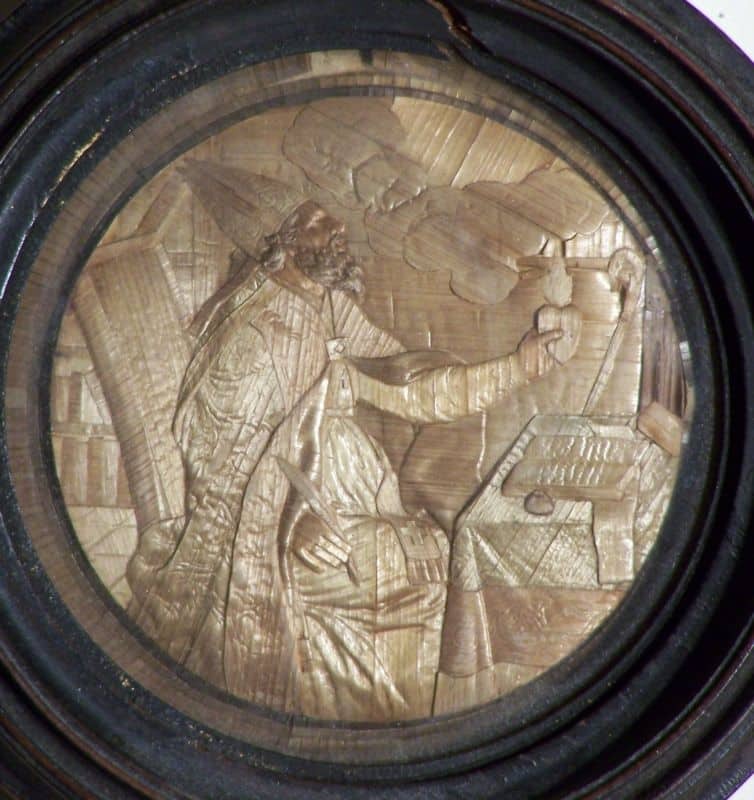 The embossed work typically pictured religious scenes, royal portraits, bouquets and domestic scenes. Notice the use of straw inlay in the below designs. The designs further show the incorporation of embossed straw which dramatically changes the appearance of the otherwise one dimensional work entirely. Paper was added to help support the raised straw work. The below two framed pieces are representative of this popular form of decorative straw work in the 1700s and early 1800s. Although not part of The Straw Shop Collection, we are grateful the owner shared the two images below for educational purposes. Embossed straw work is seldom seen due to its rarity. The Straw Shop is pleased to share images of some with you. 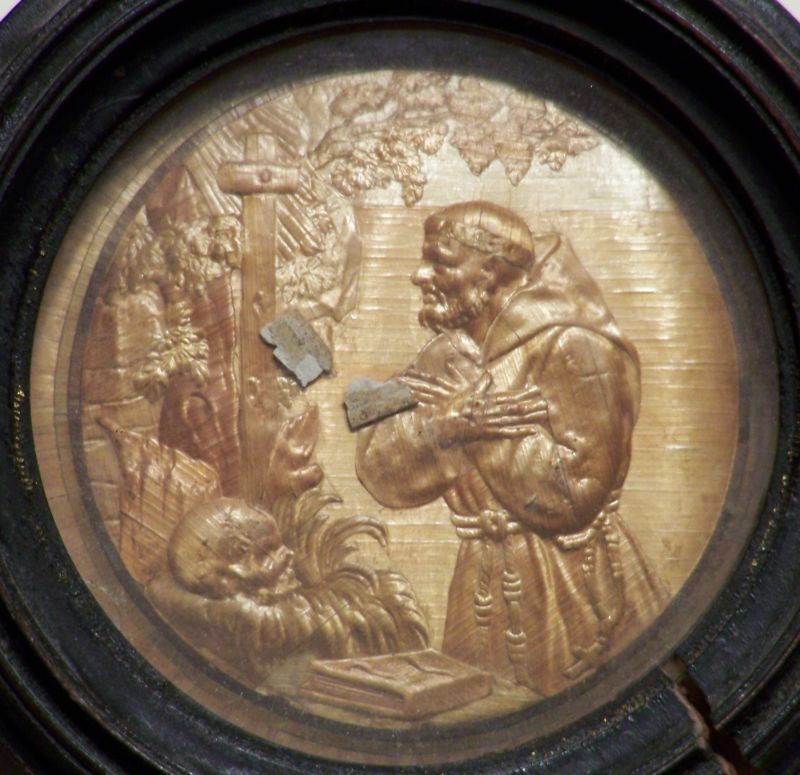 These images portray the same religious character although based on our research it does not depict a specific saint. 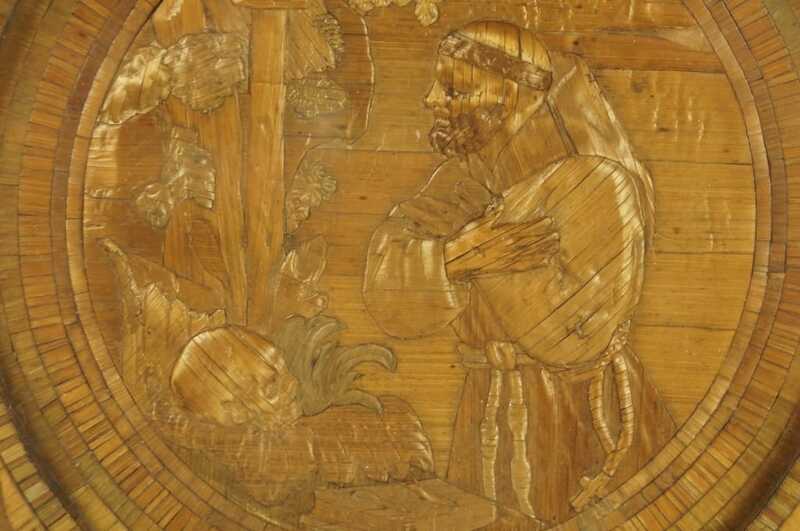 These motifs have been described as depictions of St Francis of Assisi depicted with the crucifix, book and skull. To date we have not located any information to substantiate this claim. 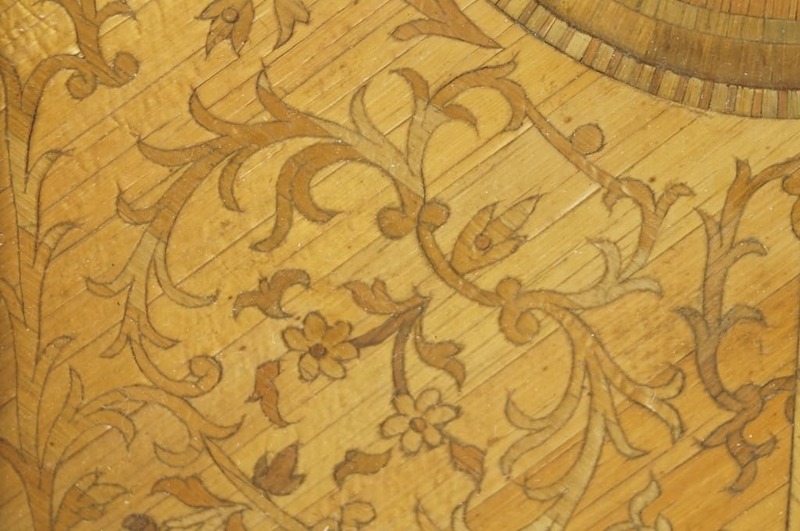 The inlaid style of straw work is thought to be typical of the 1700s as shown below. 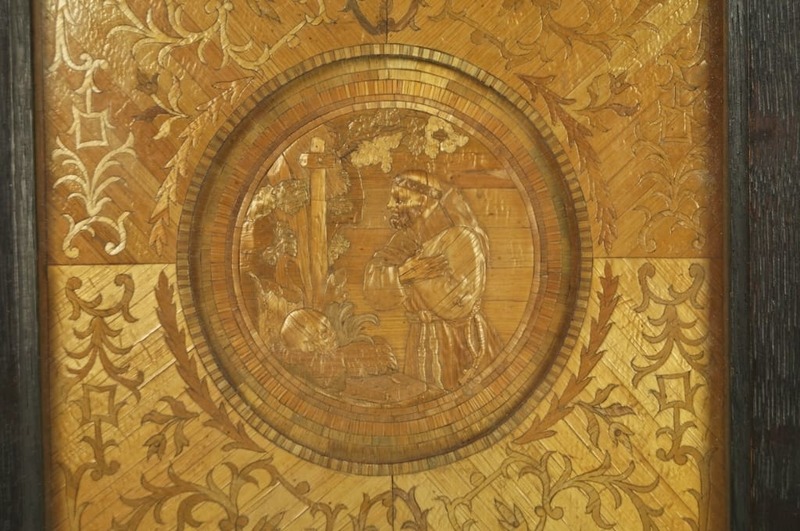 The central 3.25″ recessed plaque is of embossed straw work, thought to be produced in Le Puy, France. You may have noticed the above two scenes were probably made using the same mold. What visually really differs in the two examples is the way the straw was laid in the mold. 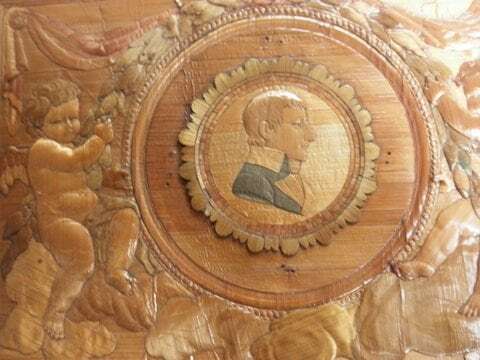 Below the embossed portrait of Napoleon Bonaparte, circa 1812, is another example of a piece produced in a series. The following is yet another example of embossed straw, this time said to from the collection of Lison De Caunes. The shepherdess reading a book, with the sheep in the back ground behind the napping dog is yet another example of this style of work. Notice the similar straw style surrounding the framed center.